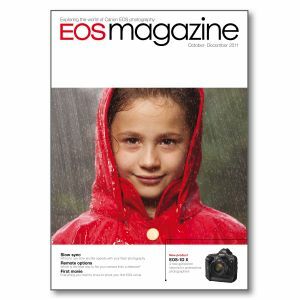 Add this issue to your photographic library for information on the Canon EOS-1D X. Plus techniques on AE/AF lock, movie mode, slow sync flash, creative filters on the Canon EOS 60D and 600D, and an in-depth look at the new fisheye zoom EF 8-15mm f4L Fisheye USM. New Canon product Canon EOS-1D X plus GP-E1 and new WFT-E6 wireless file transmitter. World of EOS News and reports from the world of Canon imaging, including a volunteer project in Latin America. Locked up Exposure and focusing does not have to be the job of the shutter button on your EOS camera. Other methods might suit your technique. Fisheye zoom Tom Sheppard puts the new EF 18-15mm F4L Fisheye USM lens through its paces. First movie We encourage all those who have not yet used movie mode to do so with our guide to the basic settings and techniques. Masterclass Robert Birkby shares his tips for top landscapes, and reveals why you can sometimes ignore the rules. How was it shot? Bill Rowley brought new life to his photography when he unearthed a photographic technique that he had never tried before. He explains how, by using two polarisers, you can produce dramatic backlit images. low sync flash Understanding the balance between flash and ambient light ca help you to create dramatic images. Creative filters Unlock the potential of creative filters - a new function on Canon's recent cameras, the EOS 60D and 600D. Remote Shooting A guide to accessories for shooting remotely.